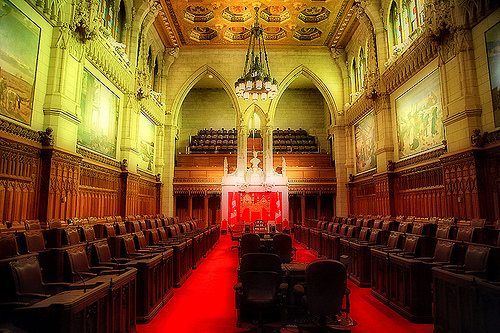 The discussion and debate over the reform of the Senate of Canada into an elected chamber has dominated the opinion sections of Canadian newspapers and the academic journals of Canadian political science since the late 1970s when the Trudeau government reinvigorated interest in the patriation and reform of the written constitution, which ultimately culminated in the Constitution Act, 1982. Trudeau’s final product conspicuously omitted the reform of the upper house, and ever since various political parties, academics, and think tanks have debated options for reform. They typically justify their positions based on theories of democracy (that an unelected legislative chamber in the 21st century violates all democratic principles) and federalism (that a federation, particularly one as vast and diverse as Canada, needs a chamber that better represents the interests of the provinces). I have supported the reform of the Senate into an elected chamber for a good many years and still do. Indeed, I wrote several undergraduate papers on the subject and studied it obsessively from 2007 to 2010 – but never in the course of my research did I come across another equally, if not more important, normative principle with respect to reform of the Senate: parliamentarism. My papers included various summaries of past institutional proposals for reform, which I would like to discuss out of academic interest, but in a separate entry on the history of Senate reform in Canada. Some scholars opposed to the reform of the Senate into an elected body have argued in favour of the status quo based upon these the parliamentarist’s considerations; however, I have yet to encounter a scholar in favour of reform who has adequately responded to, let alone acknowledged, the issue of the Senate’s role as one of two houses of parliament and one of three components of the tri-partite Crown-in-Parliament, which consists of the Crown, the Senate, and the House of Commons. In short, we must understand the Senate as part of its larger whole, the Crown-in-Parliament, and parliamentarism, the evolution and history of the institution of parliament – not as an separate chambered isolated from the House of Commons. Namely, I seek to answer this question: how can we reconcile an elected Senate with the principle of responsible government? After all, responsible government means that “the government derives its legal authority to govern so long as it commands the confidence of a majority of the House of Commons” – not a majority of the House and Senate. And crucial pieces of legislation like the budget are universally recognized as confidence measures. But if Senators were elected, they would feel emboldened to oppose the House more forcefully, even to the point of refusing to pass supply, but that refusal would be anti-constitutional and violate the principle of responsible government. This concern is not merely a theoretical abstraction. The Constitutional Crisis of 1975 in Australia, known as “The Dismissal” because the Governor-General dismissed the Labor Prime Minster and installed the Liberal leader in his place, started in the Senate because the senatorial Liberal-National majority refused to pass the budget of a majority Labor government that commanded the confidence of a majority of the House. (I’ll also write about this horrific incident in more detail later on in conjunction with the King-Byng Affair). An elected Senate of Canada absolutely must not be and can never become a confidence chamber, otherwise our Westminster system — premised on providing a balance between liberty and efficiency — would take on the characteristics of American congressional deadlock and irresponsible government. Australian scholar Charles Sampford explained in “‘Recognise and Declare’: An Australian Experiment in Codifying Constitutional Conventions” (1987) why the Senate of Australia cannot logically function as a confidence chamber in the Westminster system, despite its having been an elected chamber since the creation of the Australian federal state in 1901. “The [Liberal-National] Opposition argued that federalism justified a strong Upper House with the same power over supply as the House of Representatives despite the fact that federalism is a principle about the division of powers not who exercises them at the federal level and, despite the fact that the US Senate, on which the Australian institution was modelled, has more formal powers but no such power to use supply to force a change of government.” In other words, the Senate of the United States can exercise significant power in rejecting legislation passed by the House of Representatives precisely because its rejection of House legislation does not threaten the survival of the government, which is itself divided between the White House, the House of Representatives, and the Senate. However, if the Senate became a confidence chamber in a Westminster parliament, it would invariably destroy the principle of responsible government and render Westminster worse than the irresponsible government of the American separation of powers and totally dysfunctional. If the Senate of Canada were reformed into an elected body by amending the Constitution Act, 1867, that amendment would probably need to codify the constitutional conventions that govern the relationship between the House and the Senate in order to avoid constitutional crisis and enshrine responsible government as relating only to the House of Commons. The Parliament of Australia's official explanation states that the government must depend upon the House of Representatives -- not both Houses. The Parliament Act, 1911 and the Parliament Act, 1949 in the United Kingdom limited the formal powers of the House of Lords and formally granted the House of Commons legislative supremacy, and essentially relegated the role of the House of Lords to a chamber of “sober second thought”, as Canadians would say. The Lords recognize that as unelected officials, they must tread carefully. But no such legal limitation constrains the powers of Canadian senators, who enjoy all the same powers as their colleagues in the House, apart from the introduction of money bills because of an ancient English custom. Unfortunately, the conventional limitations on the Senate’s power do not always apply. In 1987-1988, a Liberal majority in the Senate refused passage of the Free Trade Agreement until Prime Minister Mulroney advised the governor general to dissolve the House of Commons and call and election. Therefore, the Senate inappropriately turned itself into a confidence chamber, just as the Senate of Australia did in 1975 when the Liberal majority refused to pass the supply of the Labor government in the House of Representatives, thus precipitating a significant constitutional crisis. Then in the next parliament, the Liberal majority in the Senate turned itself into a confidence chamber again by refusing to pass the Mulroney government’s GST bill. In order to avoid the necessity of requesting another dissolution, Mulroney resorted to the emergency provision and rather extraordinary measure contained in section 26 of the Constitution Act, 1867 that allows the Queen to appoint an additional 8 senators on the advice of the Prime Minister of Canada. There are two types of people in the world: those who understand what I’m talking about, and those who criticized Brian Mulroney for this particular decision. I view section 26 of the Constitution Act, 1867 as the Canadian equivalent to section 57 of the Commonwealth of Australia Act, 1901 that allows the Prime Minister of Australia to advise the Governor General to dissolve both Houses simultaneously in the event of prolonged deadlock. As Ironically, Professor Sampford relegated that gem of wisdom that I quoted above to a footnote in his paper, but it is a fundamental concept: deadlock between the two Houses in a Westminster system has profound consequences on the government and can precipitate unnecessary early dissolution, or even full-fledged constitutional crises. As I stated at the beginning of veritable treatise, I still support the reform of the Senate into an elected body — provided that any such reform adequately takes into account the problem of upper chambers and responsible government in the Westminster system. 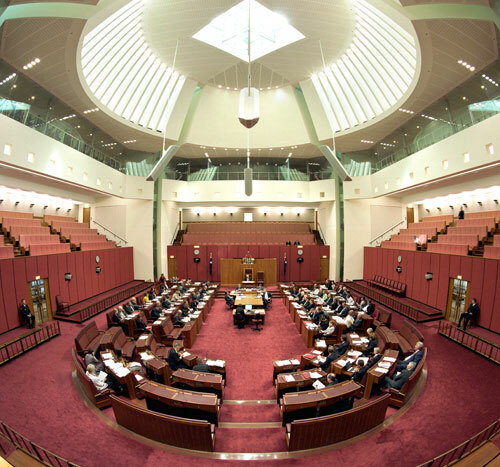 The Commonwealth of Australia has functioned with an elected Senate since its inception in 1901 and encountered only one, albeit it very serious, problem. But one serious problem in 110 years does not invalidate the model, and thankfully since Australia already experienced this constitutional crisis, we could build an elected Senate here in Canada that could steer clear of those treacherous waters. The Parliament of Australia operates on the same tripartite Crown-in-Parliament as does the Parliament of Canada and shows overall that an elected upper house can work when it respects the principle of responsible government, that the government does not derive any authority to govern from the upper house. This entry was posted in Senate Reform. Bookmark the permalink. You are defining a Responsible Government as one that is responsible to the House of Commons. This is incorrect. A Responsible Government is one who exercises the powers of the State by authority of the people. In Canada, the power of the people to govern themselves as they will is divided. In general, in accordance with sections 91 and 92 of the Constitution Act (1867), if this political will concerns purely local issues, the provinces are vested with the exclusive jurisdiction to govern the matter; otherwise the matter falls under federal jurisdiction. Section 22 determines the number of senators “who shall represent” the provinces in the Senate. The 14th of the Resolutions of Quebec states that the Governor General shall appoint senators “so that all provincial [political] parties are, as nearly as possible, fairly represented” in the Senate. The Constitution Act (1867) therefore provides for Parliament to be fully representative of the political capacity of the people. The people’s political will to govern themselves in common throughout Canada is represented and advocated by their federal political parties in the House of Commons. Their political will to be diversely governed in accordance with the moral and material values and resources particular to their culture and geography are represented and advocated in the Senate through the proportional representation of their provincial political parties. For our federal government to govern by authority of the people, given that its jurisdiction over public matters is a function of these matters not being of purely local interest and given that the Senate is vested with the authority to represent and advocate these local interests, it must possess the confidence of the Senate. Every constitutional scholar in the core Commonwealth defines responsible government as I did in this post. I don’t know how to break this to you, but you’re completely wrong and your argument has no merit. How could you argue this? It is factually wrong. I am not in favour of an elected Senate. The only reform that is truly needed is to de-politicize the selection process by setting up a Senate Appointment Commission, as I have blogged about many times. Remove the power to appoint senators from the PM and give it to an independent body with clear criteria for selecting senators. Open up the nomination process to everyone, including the public. Take politics out of the Senate completely. Electing it will only make it more political. It is not possible to remove politics from a any legislative body. If the appointments were no longer partisan, and if the Crown were stripped of its power to appoint senators, that does not mean that the Senate would no longer be “political”, merely no longer partisan. Wherever human beings create structures of authority, politics in one form or another will inevitably follow. While abolition would certainly deal neatly with many of the difficult problems of balancing powers, it’d also ruin many of the positive features of the Senate. The “sober second thought” line may be treated mostly with rolled eyes in the modern day, but it’s not wrong. Dividing power may lead to gridlock sometimes, but then gridlock is often a positive thing. One of the great strengths of the American system in my opinion is that extraordinary change requires extraordinary support, thus reducing some of the oscillation we’ve come to see in the Canadian system. It can be taken too far, of course(and it has obviously been with some of the nomination fights post-Bork), but a bit of inertia is not a bad thing. In my conception, the Senate would primarily become about the sober second thought, since we all know that the Senate of Australia is not really the states’ house, and that our Senate would not become the provinces’ house unless it become a Bundesrat. Abolishing the Senate would overcome the shortcomings which would, as you have rightly identified, embolden the Senate in relation to the HoC! I still consider abolition a mistake. Alex is right; our system would lose too much with the abolition of the upper house.